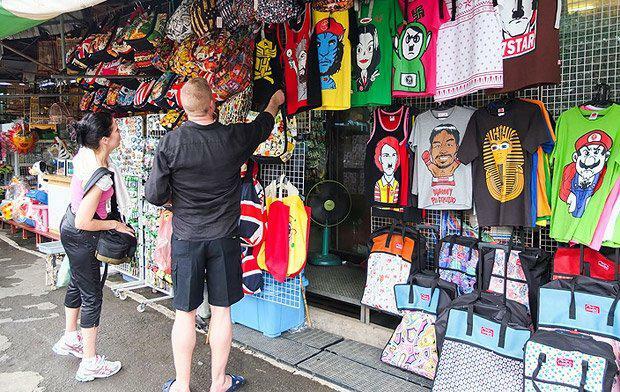 Chatuchak Weekend Market (or Jatujak Market) is one of the world's largest weekend markets covers area of 70 rai (27 Acres) altogether divided into 27 Sections, contains more than 15,000 booths selling goods from every part of Thailand. 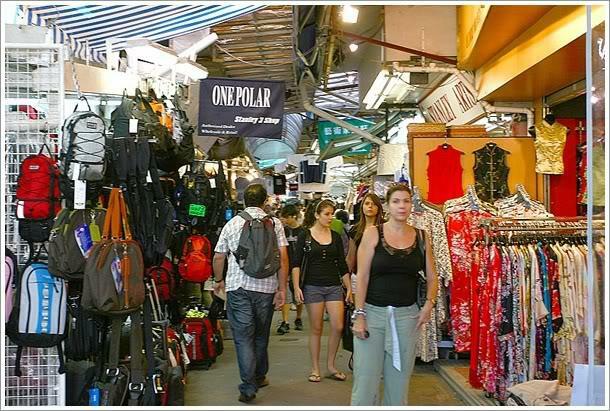 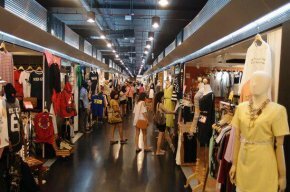 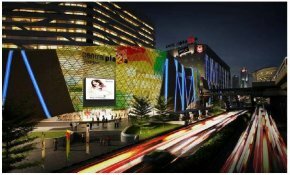 Chatuchak Weekend Market, is very popular shopping centre to Thais and has become a popular place to tourists and foreigners who stay in Bangkok, has over 200,000 visitors each day (SAT-SUN) 30% is foreign. 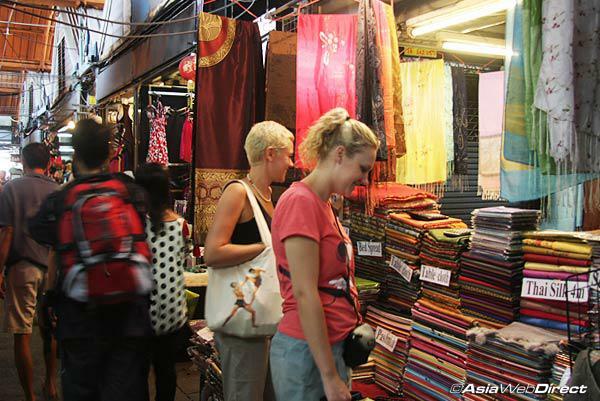 There are almost everything can be found here at a bargaining local price (not a tourist price), and most vendors actually come from local factories, like antique wood carving, clay handicrafts, local souvenirs from every parts of Thailand, Buddhist amulets, wooden funitures, hand made decorated flowers, plant, ceramic wares, dools, Thai Bejarong, Chinese wares, garden decorated plants, stones, trendy fashions, silk, hill-tribe outfits, fluffy dogs and more miscellaneous, etc.